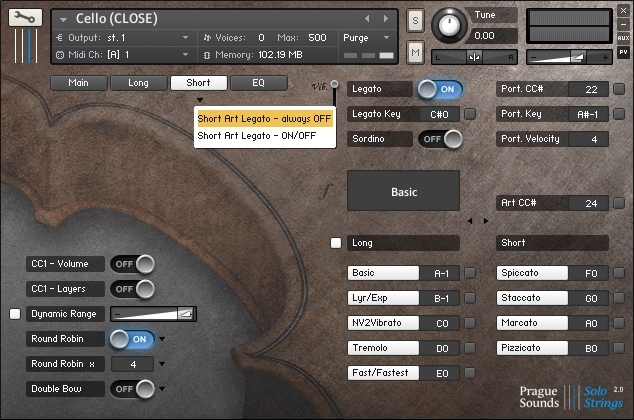 PragueSounds Solo Strings 2.0 is a sample library with a distinctive sound blend of grainy and lyrical qualities. It features a large number of patches that have been recorded in two different mic positions, some patches in five mic positions, while different recordings were used for each individual mic position. Its basic sounds, which are based on our previous version 1 samples, have been vastly improved. 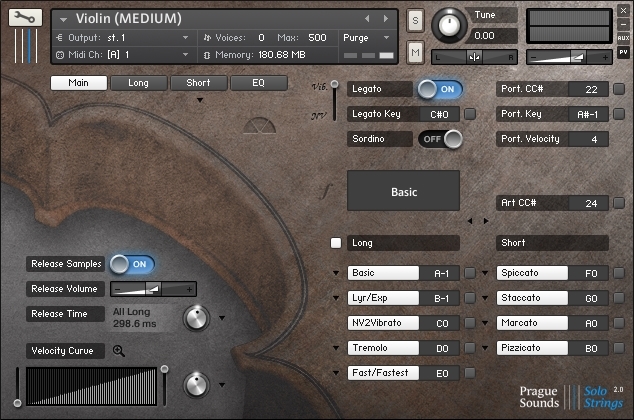 The 2.0 version features legato, portamento, round robin, sordino, double/triple bow, EQ and other modern functions. On top of that, there is the ensemble mode which can turn any solo patch to a section, while preserving the legato function and all the other features. All of this is put into a perfectly organized GUI which we have developed with one particular thing in mind – to make all the extensive functions controllable in the most effective and easy-to-use way. We have also expanded the tweakability into a maximum degree, giving you total freedom of using any CCs or keyswitches. Therefore, almost every knob and function can be individually assigned to any CC you want. Yet, for those who just want to load and play immediately – everything is meticulously configured at default and ready for immediate and full utilization of the library. The large amount and complexity of available sounds and articulations, together with the universal sound character and a large-scale ensemble mode makes the library suitable for a range of music styles and genres. 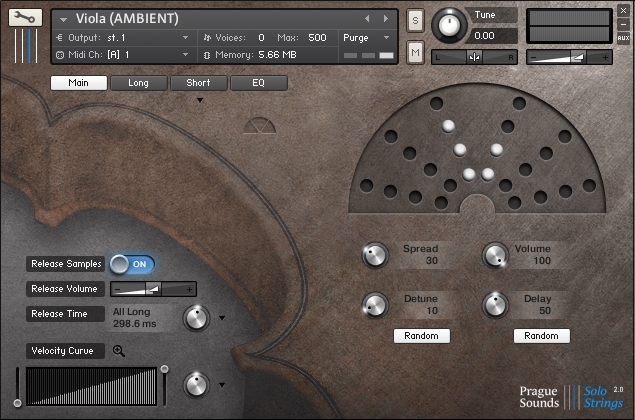 It is perfect for classical music, film and TV scoring, game music, ambient and many more.